GeoEdge brings mobile security and quality up to speed. Using the same proprietary, patent-pending technology that powers GeoEdge’s widely adopted solutions for the broader web, it detects security issues, inappropriate and offensive ad creative, and user experience issues at the pre-impression level delivered by any of the major mediator SDKs. The tool blocks the bad ad before it renders, and replaces it with an alternate ad already verified as safe and appropriate. This allows publishers to protect their users without losing the revenue they rely on for the future of their business. 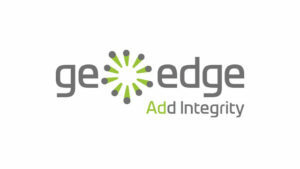 GeoEdge technology identifies issues ranging from redirects, drive-by downloads, viruses, and malicious files; to adult content, pop-ups, and device vibrations. GeoEdge is unique among ad security and quality vendors in its ability to identify and block inappropriate ad creative in real-time, rather than just identifying the security risks. Poor-quality ads increase a site’s bounce rate and lead to churn among a publisher’s or app developer’s users. By preserving the integrity of the in-app ad experience, publishers can more easily nurture their audiences, and provide them with quality, relevant content. Trusted and safe in-app environments promote loyalty, increase the lifetime value of the user, and drive greater overall revenue for the publisher and app developer. GeoEdge presents developers with a mobile SDK that they can integrate directly into the app. It provides, via a web-based console, full reports on all activity the technology observes in the app environment. It also provides a BI view of data that can be visualized at the demand-source level. This SDK solution is the logical next step in GeoEdge’s long-standing mission to preserve user experience and to allow publishers to combat bad ads proactively. “By offering a Mediation SDK integrated with Real-Time Blocking, GeoEdge is taming mobile malicious and offensive ads and content by replacing the offending ads and content with safe ones, ensuring the revenue stream for app developers and a safe experience for users,” said Amnon Siev, CEO of GeoEdge. GeoEdge enables the supply side to focus on publishing. The company handles malicious and unsafe advertising so that publishers, app developers, and supply-side clients can focus on optimizing their advertiser campaigns and provide better and more effective relations with their clients in the time saved. GeoEdge enabled clients to find a 90-95% reduction in complaints through the elimination of offensive and malicious ads and gain full transparency and visibility of their entire ad inventory beyond the blocked malicious ads enabling better management of each partner’s brand safety needs.